This book is the perfect start for anyone interested in learning how to carve detailed faces. Mary Finn uses her "practice stick" method to show you how to carve each feature - eyes nose closed mouth open mouth - with step by step directions that even beginners will find easy to follow. Then she shows you how to arrange all of these pieces into one wooden egg to make a convincing head! 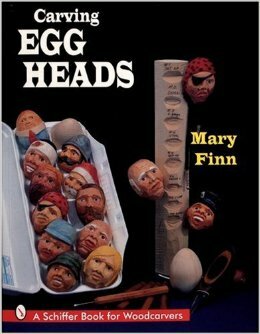 "Egg head" projects included in this book are an old man a pirate and the Mad Hatter. Mary shows you how to adapt her carving techniques to flatter surfaces to make jewelry (like a bolo tie project) and how to paint your pieces for maximum impact. 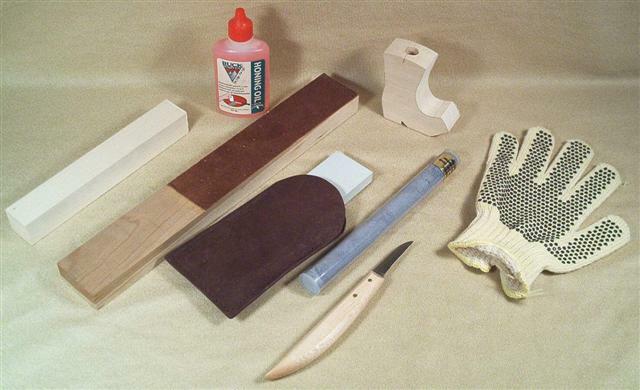 This book is terrific for beginners and a great way for more advanced carvers to enlarge their skills.